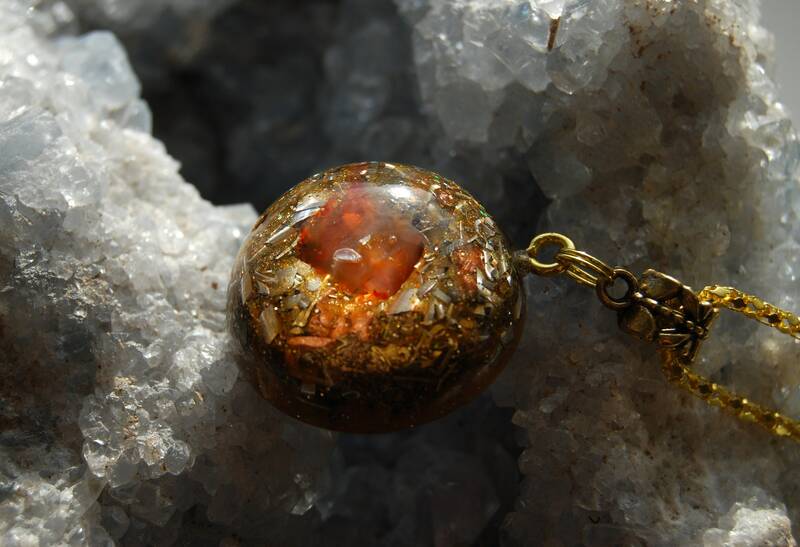 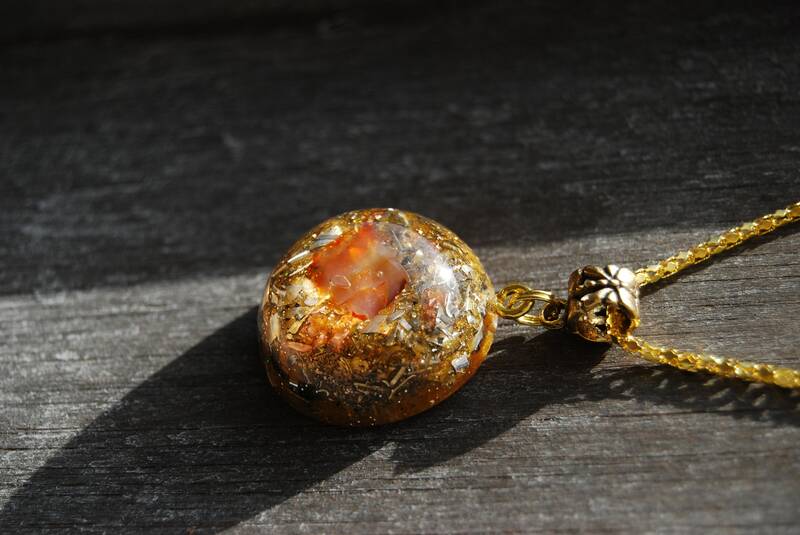 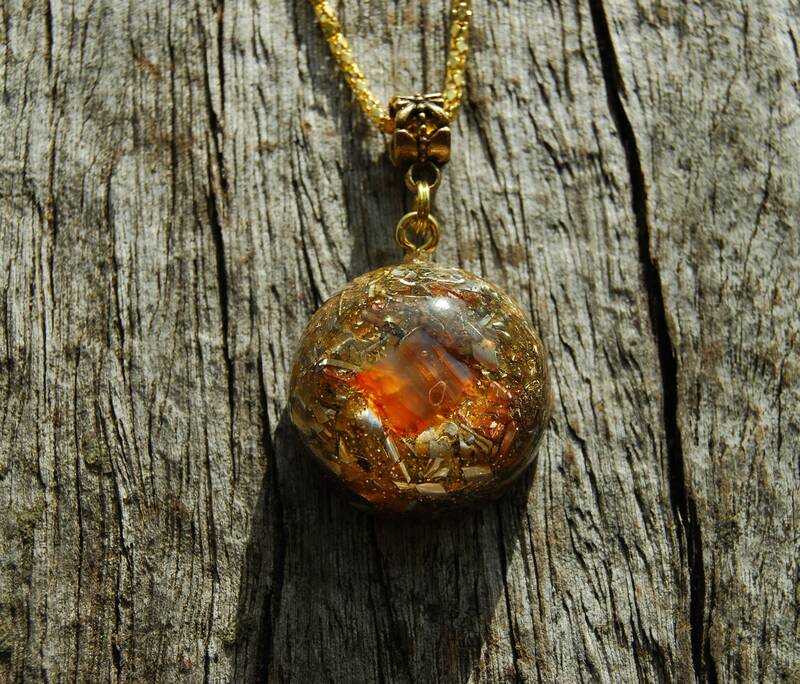 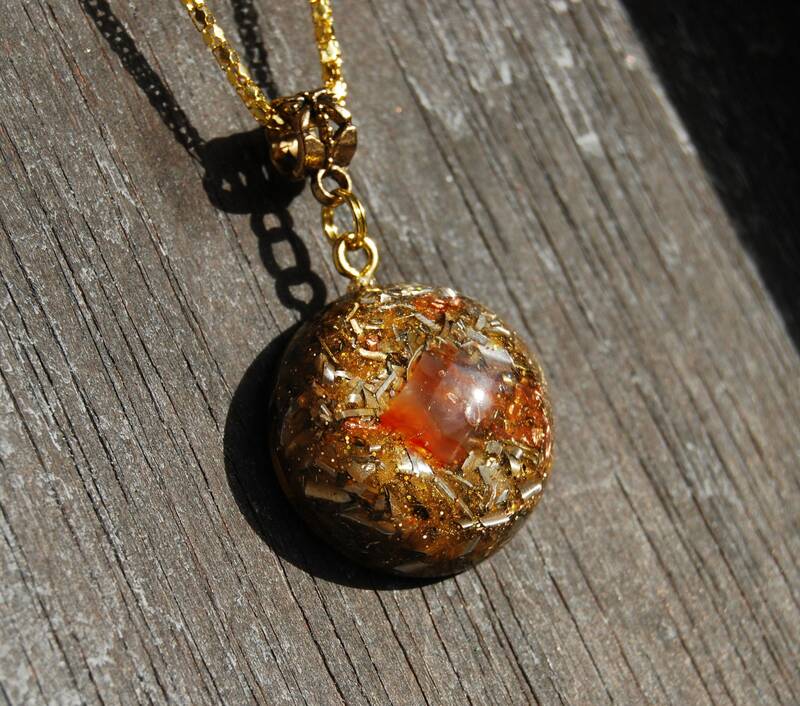 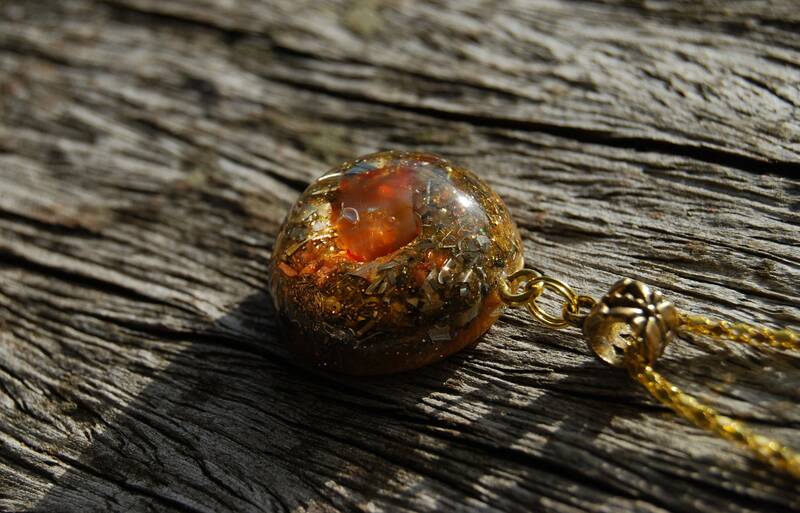 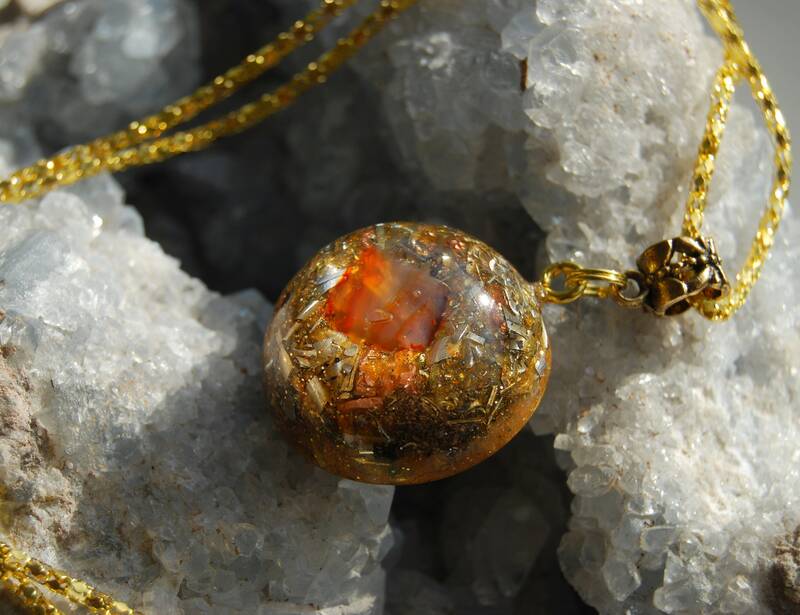 This lovely Orgonite® pendant has a polished Carnelian Agate in the front. 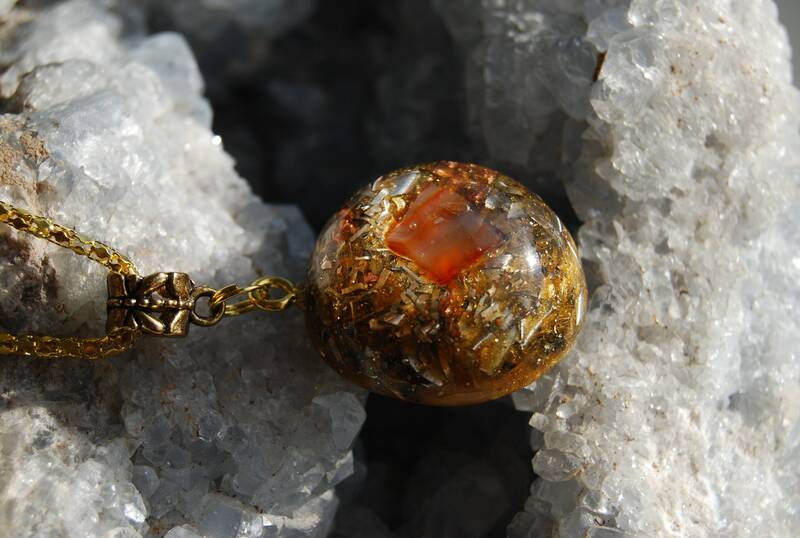 It furthermore contains Pyrite (to enhance), Rhodizite (to enhance), black Tourmaline (to ground and protect), Selenite (to charge and clean) and clear Quartz all within a durable resin setting. 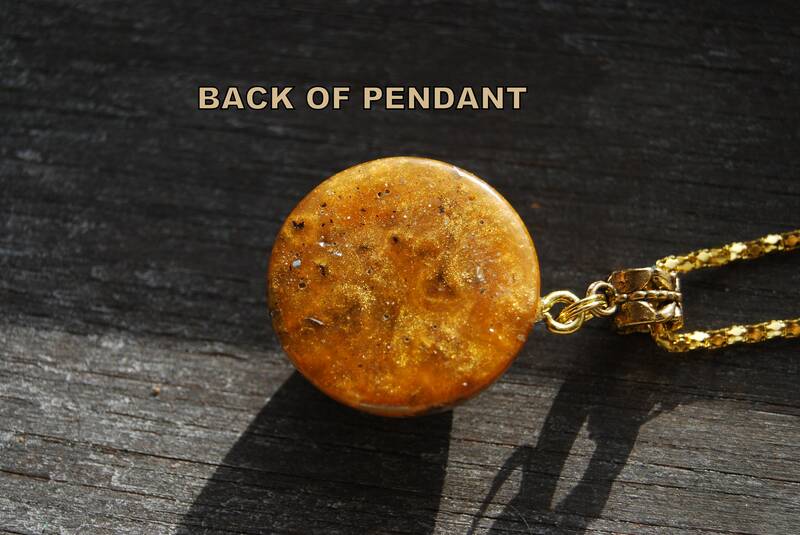 It comes on a 18 inches / 48 cm necklace. 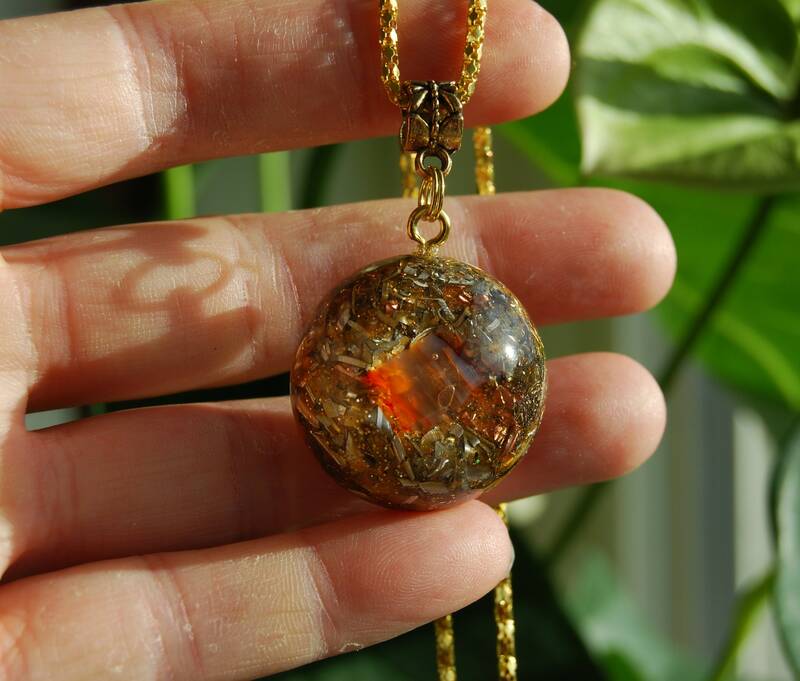 If you prefer a strong adjustable cotton cord let me know in the comment section while ordering and Ill be happy to change it for you.